Dentist turned noted sports agent Dr. Jerry Argovitz was involved in the USFL well before becoming an owner, having represented a number of players who had either negotiated with or signed USFL contracts in 1983. 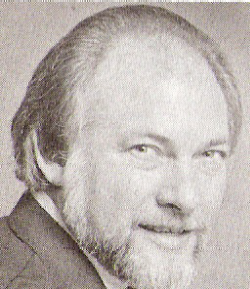 USFL founder David Dixon owned a franchise as his "fee" for creating the league. This thirteenth franchise became one of the reasons the USFL had to expand in 1984. With no intention to operate a team himself, Dixon located a buyer in Argovitz and partners Bernard Lerner and Alvin Lubetkin who supplied much of the cash to consumate the deal. The sale was approved by USFL owners on May 5, 1983 and the USFL announced on May 11 that Houston would be home to a league franchise was made. Argovitz made waves by nicknaming the franchise "Gamblers," much to the chagrin of USFL television partner ABC, which didn't approve of any reference to the gambling industry. Argovitz attempted to bring several of his NFL clients to the NFL, including Detroit Lions running back Billy Sims who successfully sued to have his contract with the Gamblers negated due to Argovitz's conflict of interest. By the time the Gamblers took the field however, Lerner had taken a back seat and Argovitz was in charge of the franchise's day-to-day operations. Argovitz and his partners would lure Jim Kelly away from the NFL, putting together a team that won the Central Division title in its inaugural year and made the playoffs in 1985. The USFL's plan to play in the fall in 1986 essentially killed the Gamblers, however. Not wanting to compete with the NFL's Oilers, the Gamblers were merged into the New Jersey Generals.